REWARD Foreign Language Centre was founded in 2006. Despite its young age, the company has already earned a reputation of high prestige and the status of a steadily growing organization as a result of high quality training and general high level professional work. However, this is not surprising, as its founders are well known Volgograd specialists, teachers and professionals, with many successful years of experience of teaching foreign languages. A distinctive feature of all the programs of FLC (Foreign Language Centre) REWARD is their extensive scientific research, and implementation of the use of the best achievements of national and global methods of teaching foreign languages. It is a deep, serious and truly professional attitude to business that is conducive to the achievement of excellent results. 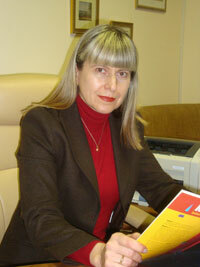 The Company Director and ideological inspiration behind all the educational projects is Anna Markovna Mitina, Doctor of Pedagogical Sciences, Professor, Honoured Worker of Higher Professional Education, Head of the Foreign Languages Department of Volgograd State Technical University, and just a person with a genuinely great passion for education and research. She bears many years of fruitful work in the field of education, training in the leading language centres and universities in the UK, US., Australia, Germany, France, participation in international projects of UNESCO and the thousands of students who are fluent in foreign languages and work not only in Russia but in many countries around the world. Being the author of 178 scientific works, including 14 textbooks for teaching foreign languages, AM Mitina is always full of new ideas and energy. "I really love my job and I want the people of our country to be really fluent in foreign languages. Anyone can learn a foreign language. There are no incapable students. There are unqualified teachers. There can be no doubt in high qualification of REWARD teachers. Come to us, and you’ll see for yourself! " 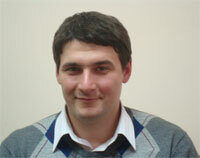 The Assistant Director of Economy and Finance, Andrey Petrov Ph.D (Economics) speaks fluent English and has a long and successful experience in the business of large domestic companies and joint enterprises with foreign partners. His background includes the post of Director of International Projects, Director of Management; the Chairman of the Board of Directors of the joint Russian-Chinese businesses and others. AV Petrov holds translator-assistant degree of additional education and a graduate diploma of government program "Business for Russia." He always thinks boldly and globally aiming his team towards the achievement of the best international business standards. "REWARD for me, above all, is a socially significant project. I'd like citizens of Volgograd to be fluent in foreign languages and be able to successfully implement their goals"
A Chinese proverb states: "The journey of a thousand miles begins with a single step." Having begun its development from a small office with two classrooms, the Centre for Foreign Languages REWARD now has several offices in the city centre, with branches in the Krasnoarmeyskiy, Traktorozavodskiy, Dzerzhinskiy, and Voroshilovskiy districts. Starting just with English learning, our programs today include German, French, Italian, Spanish, Chinese, Portuguese and Czech languages. There are virtually no age limits within the company – with classes being offered to children of just three-year-olds to classes for school children, students and adults. REWARD offers a whole array of opportunities to master foreign languages. Along with the basic educational programmes for children, students, adults and corporate clients, there are fully developed and successfully implemented additional development programs - English clubs, outdoor weekends “Emersion into the language”, linguistic camps for schoolchildren, festivities in a foreign language, cross-cultural training, language study abroad, etc. There have been a number of unique training and development programs created by the centre that have no analogues in terms of content and effectiveness. Many new educational projects are on the agenda. What ensures success of our development? monitoring system of quality at all levels of the company. We strive to ensure that everyone who makes use of our services masters a foreign language and achieves their personal goals in life. We are also sure that the learning process is not only be highly efficient but also interesting, enjoyable and informative. We are doing everything we can to be sure that you’ll be definitely satisfied by what is on offer. Learn from professionals and you’ll get a REWARD of success! Enjoy professional teaching and success will be your reward!